Defenseman Cody Sol and forward Taylor Crunk are back in the fold for the Komets, agreeing to terms and being added to the preseason roster, the team announced Monday. Sol, 27, returns for his fifth season with the team. The Woodstock, Ontario, native set career season highs of goals (eight), assists (21) and points (29) last season. He led Fort Wayne for the fourth consecutive season with 119 penalty minutes. The team's Defenseman of the Year appeared in all 18 playoff games and has not missed a Komet postseason game for four straight years, getting seven goals and 18 points in 56 playoff games. "Cody is a big part of the locker room and a big part of the Fort Wayne community," Komets coach Gary Graham said. "He does a great job out in the (local) schools and interacting with the fans. We all know what he does on the ice, but I don't think enough can be said about what he does off the ice. That is a big part of the Komets' culture and what we try to do in the community, and Cody embraces that to the fullest. "We know it is going to be a bit of a rebuild losing some guys. When you can return a veteran captain like (Jamie) Schaafsma and now a seasoned leader like Cody, that's great." Crunk, 23, returns for his third full season with the Komets. The San Jacinto, California, native made his professional debut with Fort Wayne in 2015-16 after a five-year Juniors stint. He played in eight regular-season games and one playoff contest with Fort Wayne. 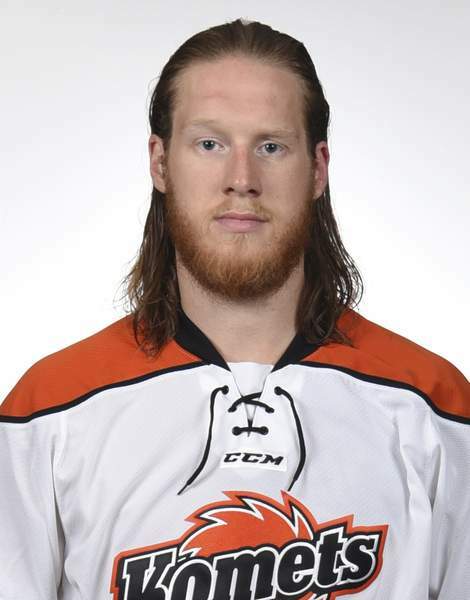 Last year, the forward played in 28 games with the Komets and had six assists before being placed on season-ending injured reserve in February with a labral tear in his hip. "We are real excited to see what he can do after a summer of training with his surgery being complete," Graham said. "He has been playing with the injury basically through two or three seasons, going back to juniors. I am really excited to see if this surgery helps him progress and take his training to the next level." On crutches, Crunk was around the team during the second half of the regular season and the entire playoff run that ended in Game 7 of the Western Conference finals last year. The team expects Crunk to be ready for the start of training camp Oct. 1. "It's a process just like anything," Graham said. "The best thing is the surgery got done soon enough to where he could have a lot of time in rehab done in Fort Wayne with our doctors and also be able to get some training done too in town." The Komets preseason roster is currently at seven players, three forwards and four defensemen. Also, the Komets gave qualifying offers to seven players: Marco Roy, Phelix Martineau, Gabriel Desjardins, Mason Baptista, Garrett Thompson and Shawn Szydlowski and Curtis Leonard. Each team was entitled to reserve the rights to a maximum of eight qualified players. Of the eight qualified players, no more than four could be veterans (260 regular season professional hockey games played as of the start of the upcoming 2018-19 season). "If you qualify a guy, you maintain his rights unless he is a veteran," Komets general manager David Franke said. "Even if you qualify a guy from your season-ending roster, you can still sign him." Szydlowski, the ECHL MVP, Desjardins, the team's MVP, Thompson and Baptista are all heading to Europe. Thus, the Komets hold their rights for another month or so. "Even though they are veterans, if something fell through on their deals, we would still have rights to them this summer," Franke said of players such as Szydlowski, Thompson and Desjardins. 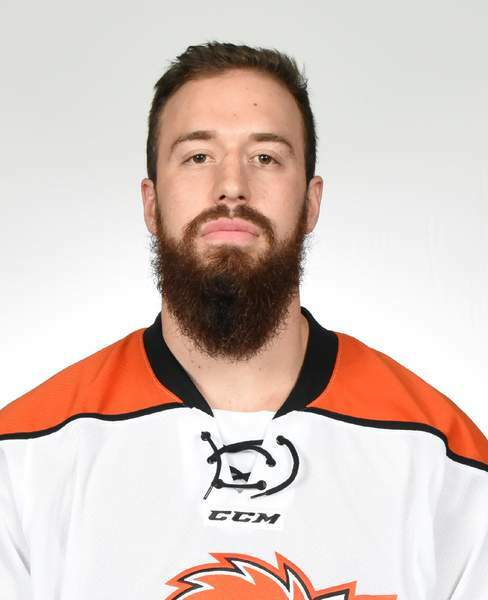 Note: Former Komets player Ryan Culkin has signed a 1-year two-way contract with the AHL's Laval (Quebec) Rocket, in the Montreal Canadiens organization. He played in 53 games with the Komets, getting 11 goals and 27 assists.